Welcome to Rainforest Design® where you can preview unique handcrafted original cameos. 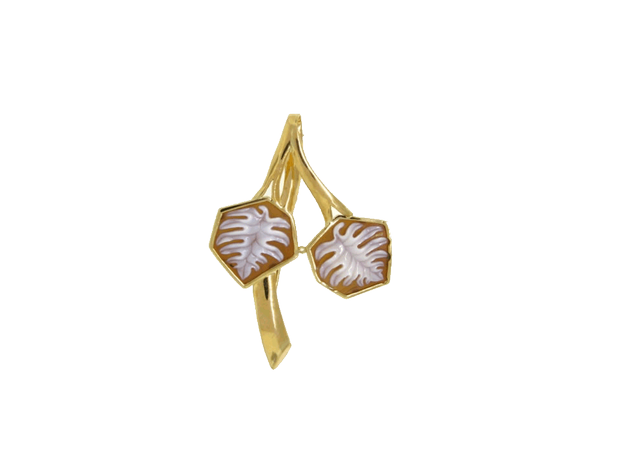 Carved from Queen's Helmet shell, sometimes referred to as Sardonyx Shell, by talented Wounaan Indians of the Darien Rainforest, these miniature works of art reveal what inspires the people of Panama---the exotic flora and fauna that abounds in this lush unspoiled paradise. Marvel at these highly skilled carvings and the mesmerizing stories they tell. 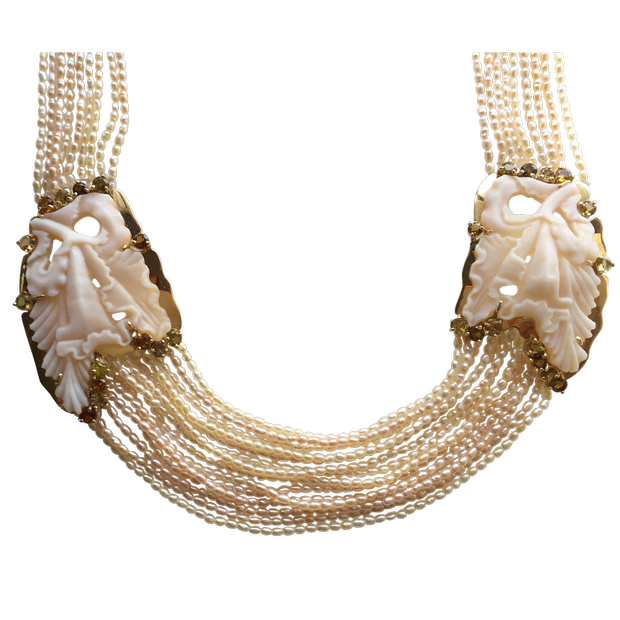 Shell cameos have been popular for centuries. Most cameo themes relate to the region in which they were created and also reveal much about what interested the carvers. Rainforest Design® cameos utilize age old craftsmanship and skill. 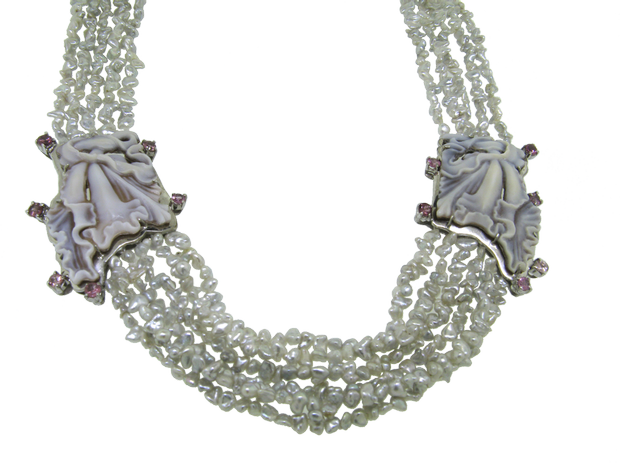 And, they are created by indigenous rainforest tribal Indians with expertise in carving delicate local motifs in high relief making these carved cameos extraordinarily collectible. The Queen's Helmet shell has areas of high relief (or knuckles) which inspire the Wounaan carvers to maximize this extreme depth of perspective. Marvel at the life-like starfish or frogs that appear so realistic. 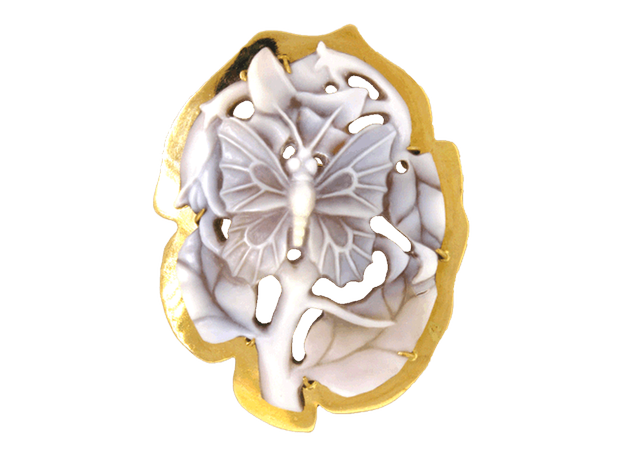 Collectors of Rainforest Design® cameos have a great appreciation for nature, and value the delicate workmanship that goes into each original cameo carving. The subject matter on these unique cameos resonates with today's collector who wants innovative adornment with intrinsic value and will be treasured for years to come. 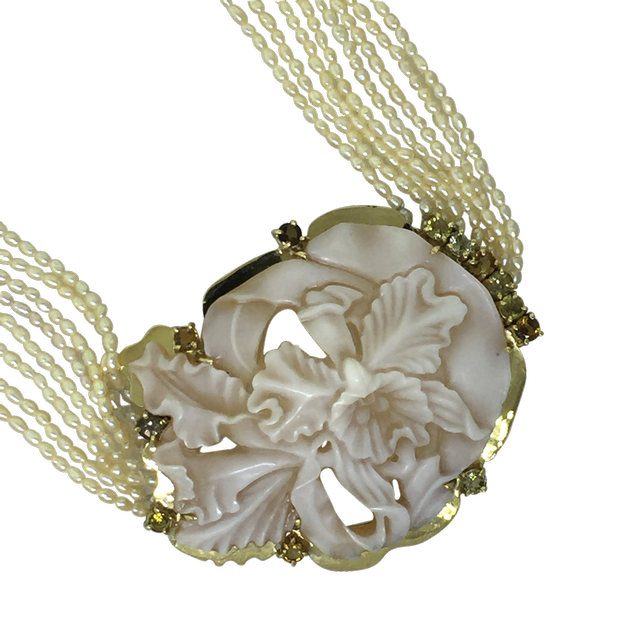 Take your time to browse through our hand-carved shell cameo collections. You'll see something that speaks to you. Exotic fauna? Of course. The jungles are host to fascinating creatures that regularly appear on these alluring cameos. If botanicals are more your style, you'll have plenty to chose. 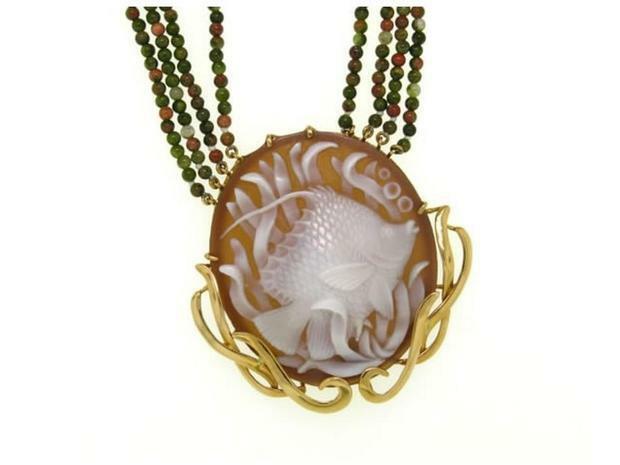 The exotic flora and fauna that abounds in Panama's Darien Rainforest jungles are interpreted in exquisite detail in both cameo jewelry and unmounted cameos. 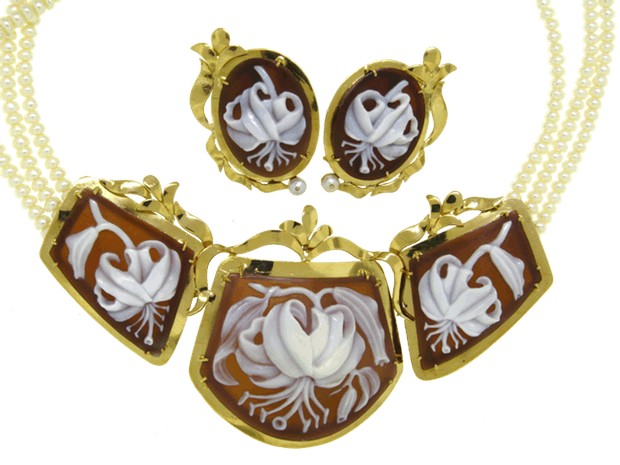 The cameo motifs are perfect gifts for nature lovers, bird watchers, members of the Audubon Society or orchid clubs. 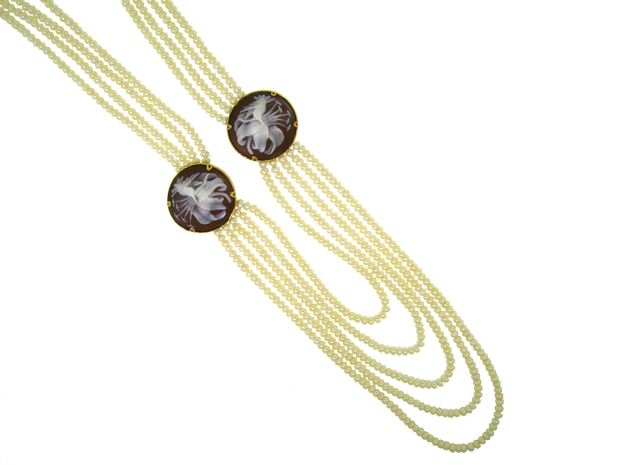 Eco-conscious collectors will be particularly attracted to Rainforest Design® cameos which are locally produced by Wounaan Indians who hand carve the natural Queen's Helmet shell, also known as Cassis madagascariensis spinella (Sardonyx Shell) found in the waters of Caribbean. These fine museum quality jewelry cameos are artfully set in precious metals; 18K gold, and 950 silver, some of which have gold plating. Enjoy a leisurely stroll through the rainforest on each page of our site . . .